David Bromwich’s portrait of statesman Edmund Burke (1730–1797) is the first biography to attend to the complexity of Burke’s thought as it emerges in both the major writings and private correspondence. The public and private writings cannot be easily dissociated, nor should they be. For Burke—a thinker, writer, and politician—the principles of politics were merely those of morality enlarged. Bromwich reads Burke’s career as an imperfect attempt to organize an honorable life in the dense medium he knew politics to be. 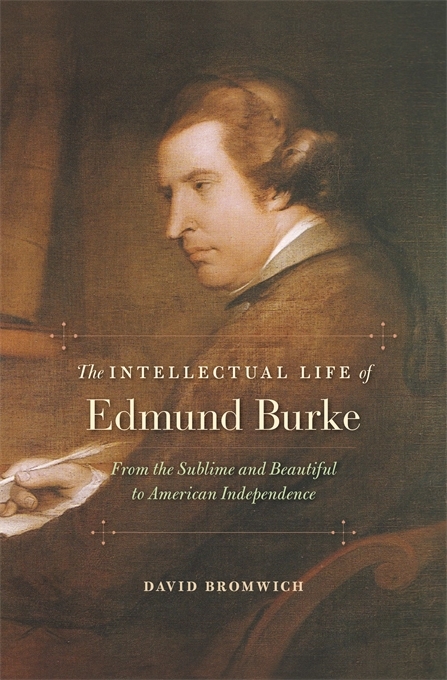 This intellectual biography examines the first three decades of Burke’s professional life. His protest against the cruelties of English society and his criticism of all unchecked power laid the groundwork for his later attacks on abuses of government in India, Ireland, and France. Bromwich allows us to see the youthful skeptic, wary of a social contract based on “nature”; the theorist of love and fear in relation to “the sublime and beautiful”; the advocate of civil liberty, even in the face of civil disorder; the architect of economic reform; and the agitator for peace with America. However multiple and various Burke’s campaigns, a single-mindedness of commitment always drove him. Burke is commonly seen as the father of modern conservatism. Bromwich reveals the matter to be far more subtle and interesting. Burke was a defender of the rights of disfranchised minorities and an opponent of militarism. His politics diverge from those of any modern party, but all parties would be wiser for acquaintance with his writing and thoughts.